Ok. It’s not the world’s best photo, I know. It was taken through a dirty window and bug screen, on a phone, and M and G were already quite far away when I got the shot so I had to blow it up. But crappy photo quality or no, this picture of my two men makes my heart flutter in all the good ways. 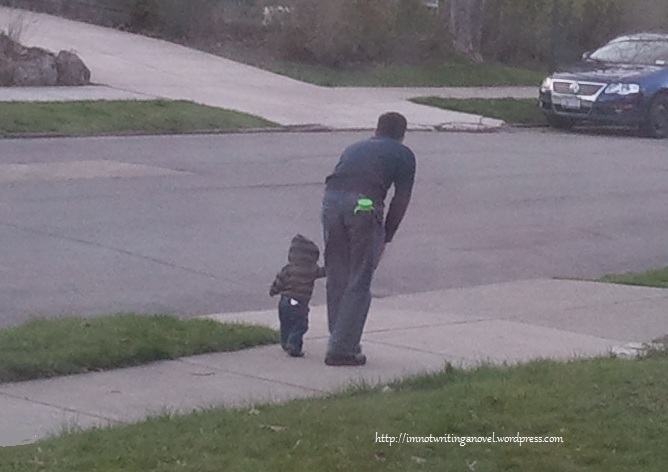 They each have something in their right back pocket – cute!